Every one of us chiropractors understands the importance of a strong Report of Findings that effectively gets (and keeps) patients on a plan of care. Without it we end up running a PRN Pain-Relief type clinic where patients come in for a visit or two when their back ‘goes out’ only to quickly disappear for another 6 months. Almost without exception a clinic run like this will not be successful. And even if it is profitable, it’s an extremely expensive and stressful business model to maintain because you constantly need more new patients to compensate for the low patient visit numbers. Add on the fact that insurance companies are doing everything they can to reduce your visits and income and it becomes obvious that how you manage the first and second visit a patient spends in your office is more relevant than ever. It’s no secret that it’s more difficult than ever to keep a chiropractic clinic open,operating and profitable. As chiropractors we have 3 basic goals with all New Patients in our office. Explain what is causing their problems and the treatment recommended in a specific way that stimulates the patient not to just accept the recommended care but rather WANT the care. Chiropractors by in large are really good at numbers 1 and 3 but fall short with #2. The only way a patient will truly accept, appreciate and stick with the care they need is by understanding the value chiropractic will have on their life so that it becomes a no-brainer to accept and follow through with the exact treatment schedule you recommend. Sure there are Day 1 / Day 2 protocols that catch patients off guard with a slick sales pitch or scare the c#%p out of the patient until they commit to care over facing a crippled existence. Anyone can use those methods to get a patient to accept care on the spot but most doctors have ethical issues with employing morally questionable or scare tactic approaches – not to mention they end up with patients that have buyer’s remorse a day or two after their big commitment. And even when the shady ‘hard sale’ tactics do get patients to take care, they definitely do not help build a powerful referral practice. The good news is that there are simple protocols chiropractors can follow that are Super Easy, Ethical & Effective at getting a patient committed to long-term care and knowing they made the RIGHT choice… because it was their decision… the logical decision. First off, who am I? And how do I qualify to help you with implementing stronger Day 1/Day 2 protocols? My name is Dr. Daron Stegall and along with Dr. Troy Counselman we have maintained one of the longest standing and most visited free chiropractic business management and marketing blogs in the profession called SuccessfulChiro.com. We also authored 3 best-selling chiropractic books including Ultra Success in the Business of Chiropractic (rated 11 out of 10 by the reviewers at Dynamic Chiropractic) and created several popular internet based consulting and chiropractic marketing products including what has quickly become considered our flagship program called ProfitsToProfits.com. But even more importantly than all of that above is that I have owned and managed 12 successful clinics, and just finished my 5th month of practice in a brand new clinic that I opened from scratch. That’s right… 0 patients on day one. Not something I would do this day and age if I wasn’t sure of the strength of my protocols [Btw…I have had right at 200 new patients thus far with just over 80% taking the recommended care]. In my years of teaching the Day 1 Consultation and Day 2 Report of Findings protocols, I have had practices go from the brink of death to a thriving business just as I have seen it propel an already profitable practice to a whole new level of income. I tell you all of that because I believe it’s important for you to know my history and success with practice so that you understand this is not just some system I created out of thin air but rather time-tested protocols you can follow that have been used in my clinics and those of clients generating literally millions of dollars in income and improving countless patient lives. 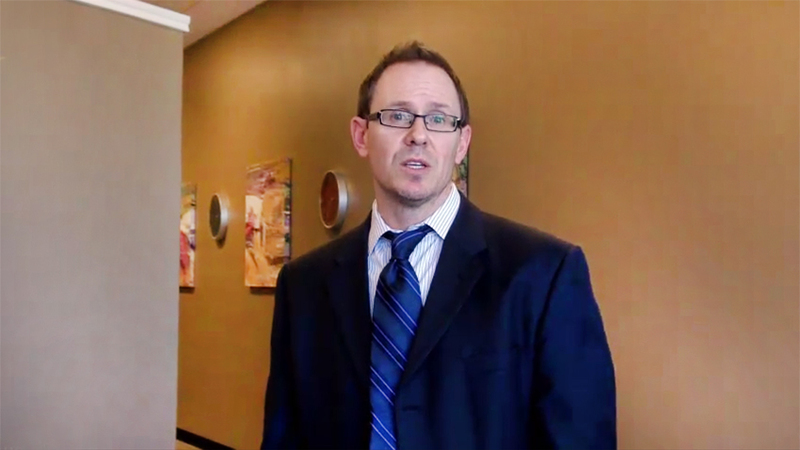 I am a chiropractor, just like you, that has a passion for helping other chiropractors find better success. Troy and I take the responsibility of helping doctors shape and grow into their ideal practices as something very serious. It’s also why we offer a no-risk, no-questions asked Money Back Guarantee on all our programs and products. We are colleagues and we should treat each other as such. You don’t need to own something that you don’t feel fits your practice or you just philosophically don’t align with. QUICK TIP: Most doctors I work with initially believe it is the Report of Findings where a patient commits to care. It’s not…it is the Consultation where this occurs. That’s why we teach you the consultation protocol as well. If done right the ROF is a 5 minute breeze. How to discuss the finances in a way that is not awkward, easy to understand for the patient and all but eliminates financial barriers to care. …I give you ALL THE SCRIPTS for every step of the consultation and report of findings. Not some of the scripting or concepts for you to interpret and figure out the scripting for on your own. I provide literally EVERY WORD to say so you can pick and choose what you would like to add to your current protocol. OR for those docs that don’t have a Day 1 and Day 2 at all right now you can just follow this scripting word for word and BAM!... just like that, implementing a consultation and ROF is marked off your list of things to get in place. The harsh reality is that it’s getting tougher and tougher to make a good living in the chiropractic profession. It’s what you do today to strengthen your protocols that will determine how strong your practice is by the end of this year. I don’t care if you see 100 or 1000 visits a month right now, in this unstable economy and difficult insurance landscape, it’s more essential than ever that you take the steps that put your practice in a better position for continued growth and stability. And whether you need to push your practice out of a stagnant state or want to boost it to the next level of success, The Rich Doctor’s ROF protocols are an essential part of any clinic’s success. And we let you give it a try RISK FREE. REALITY CHECK: Most chiropractors are not using solid proven new patient protocols that get patients committed to getting the care they desperately need. And the reason they aren’t is because the protocols they have learned in the past are too aggressive, too lengthy, too manipulative or even just flat out too uncomfortable. I know… in my 17 years of practice I have learned some of the ‘best’ protocols and with all of them there were parts I just didn’t care for! But now you have the opportunity to learn a Day 1 / Day 2 protocol that is not ‘Hard Sale’ but rather is Natural to say, Easy to implement and extremely Effective at getting patients committed to getting the treatment they need. HOW? By pushing the psychological and logical hot buttons in a patients mind that make them WANT the care you can provide. This in-depth video training series gives you the step by step process for the critical first and second visit in short easy to digest videos that you can watch and start implementing the same day. How to secure the Preliminary Commitment to care… during the exam! Important keys for preparing your Mind and the Room for Success! Learn the one important part of this step in the ROF that MDs do but most DCs miss! Not only does this program include everything you need to quickly boost your patient visits, but as mentioned earlier it also includes all the scripting – in a flexible format so you can hit all the main points that get patients excited about and wanting your care while still presenting the treatment plan in a way that is comfortable for you to say. As a BONUS, I have had all videos converted into transcripts professionally edited and complete with the video slides. This makes learning and implementing easier and quicker than ever. 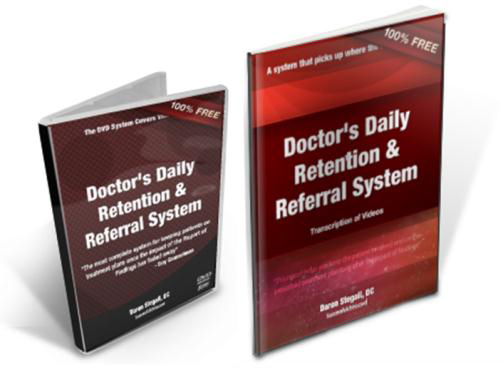 And as a SPECIAL LAUNCH BONUS, I have included one the most popular sections from the Patients to Profits training system called Doctor’s Daily Retention & Referral System. The Doctor’s Daily Retention & Referral System covers 11 essential patient retention skills that stimulate patients to refer friends and family and even more importantly keeps them on their treatment plan even after the luster of your perfect ROF has long faded. I don’t care how good you are at your Day 1/Day 2 protocols, once the pain has subsided patients think about you and your care less and less. You need to have a plan for keeping the patient’s ‘head in the game’ so to speak – this is that plan. Yes!...I’m in. Now how much is this gonna set me back? By now you see the value in this program that will show you the most effective, ethical and easy way to get patients on a prescribed treatment plan. Well, considering that doctors have spent upwards of 20 or 30K for similar programs in the past; not to mention traveled across the country to get the training, our full price of $499 would be a bargain. After all, being able to reshape what is arguably the most important interaction you have with any patient or even just start completely over with the system we provide is well worth the investment. However, to help save you money, we have decided not to create a physical product but rather only make this program available in an online digital version and extend a 40% savings making the price just $299 for this entire well organized and easy to follow video training, complete with fully transcribed and edited PDFs of each video that includes pictures of every video frame and every single scripted word you need printed in black and white – and don’t forget the bonus which alone is valued at $77. Simply click the big ‘Add to Cart’ button below and you are moments away from a program that could easily have the biggest positive impact on your patient numbers and income of anything else you have tried…EVER! It’s all here, everything you need to get off the patient visit roller coaster where one week you’re busy and the next you find yourself frantically trying to figure out some new marketing scheme to get more new people through the door. And the best part is that you can start changing all that today at more than 40% off the retail price. It’s our business to give you the edge in becoming a stable and highly profitable chiropractic business. And when you think about how many chiropractors are closing their doors and just accepting their fate, you quickly realize that not refining and strengthening the protocols you use on the first 2 visits a patient is in your office is a costly mistake. So that you have time to make sure this program is a perfect fit for your office, we provide it all to you with a 30 day no-hassle, no questions asked money back guarantee..
Click the ‘Add to Cart’ button below to get started. The sooner you understand and implement The Rich Doctor’s ROF protocols, the sooner you will be on your way to a bigger stable stream of revenue in your practice. Make this the year you boost your patient visit average and get patients excited, committed and paying for the expert care you busted your hump to learn. DISCLAIMER: This is a special priced instantly accessible online program - there is no physical product to wait for. Patients to Profits and SuccessfulChiro.com reserve the right to alter program pricing at any time. Click the "Add to Cart" button above for current program cost.